SWAT vs CONVICTS: Escaped convicts have been found to be using OP’s Indoor warehouses, for their criminal activities. You and your SWAT team must enter into the warehouses through a side door that leads into a tunnel, doorways, staircases and a maze of rooms, where the convicts are hiding. 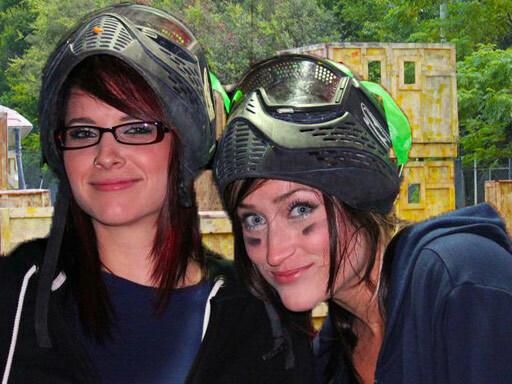 In this highly challenging mission, the SWAT have to find and eliminate all the convicts in 10 minutes or else convicts win. 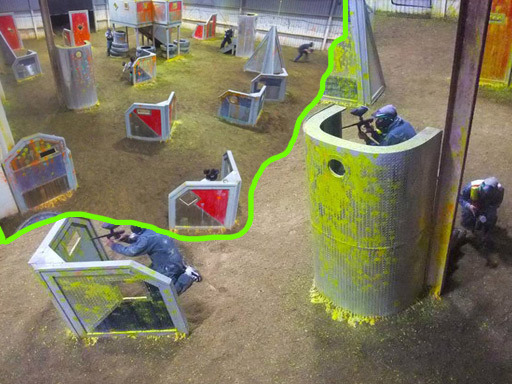 FUSION RINGS: Two opposing teams start at opposite ends of our Indoor Metal field (A) where Orlando Paintball’s nuclear reactor is located. Each player gets a ring that they must advance to the center to score 5 points. The team with the most points at the end of the designated time limit wins. Players having scored are not out of the game, but continue by stopping or eliminating their opponents and help their team-mates advance their own rings to the center. This is a fun game where everyone is forced to move to score for your team. GOLD RUSH: Two opposing teams start at opposite ends of our Outdoor field (E). The goal is to find the treasure chests with gold bars and bring them back to your headquarters. The team with the most gold bars at the end of the time limit wins the game! Stealing from the opponent’s base is allowed. NUCLEAR MELTDOWN: Terrorists have captured OP’s nuclear reactor. OP’s engineers have built a real nuclear reactor in an effort to save money by supplying power for all the lights and computer systems. The terrorists aware that they have been identified and located, have powered the reactor at overload capacity to cause a “Nuclear Meltdown”! SWAT has only a small amount of time to find the four electrical switches that power the reactor, and set them off to power down the reactor. The terrorists of course are not going to make it easy. They have taken up defence positions trying to stop the SWAT from getting the switches, to lead to a Nuclear Meltdown that will destroy the planet! OTHER SCENARIOS: There are many other games that we play and new games that we introduce. Some other favourite games include, Center Flag, Ghost busters, Zombies, and many more, the details of which we will leave as a surprise.